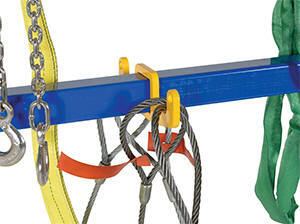 The Gantry Sling Rack is a great addition to any manufacturing and industrial facility. 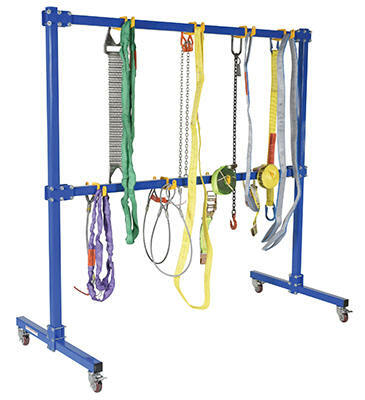 The strong steel construction, with a baked in powder coated finish for added toughness and allows for hanging of items both large and small.The lower rack is adjustable to different heights to better suit the user's needs.The included hooks enable the user to hang items from both sides and in offset positions due to their adjustability. 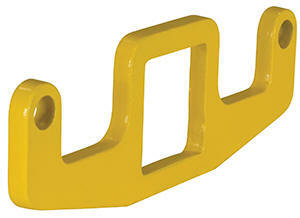 This sling rack can be utilized as a stationary or portable unit. Casters,mounting pads, and adjusdtable feet are included for the user to choose the desired function type. Included are: (4) Adjustable Feet (1" adjustability), (4) 3" Diameter Stem Casters with Brakes and Anchor Bolt Kits.